Today is the 12th World Nutella Day. It was created in 2007 by US food blogger Sara Rosso to celebrate with fans from all over the world the famous Ferrero’s hazelnut spreadable cream. Very recently, however, a new competitor has arrived to undermine its supremacy. Italian bakery and pasta company Barilla has in fact placed on the shelves of large retailers its Pan di Stelle cream. 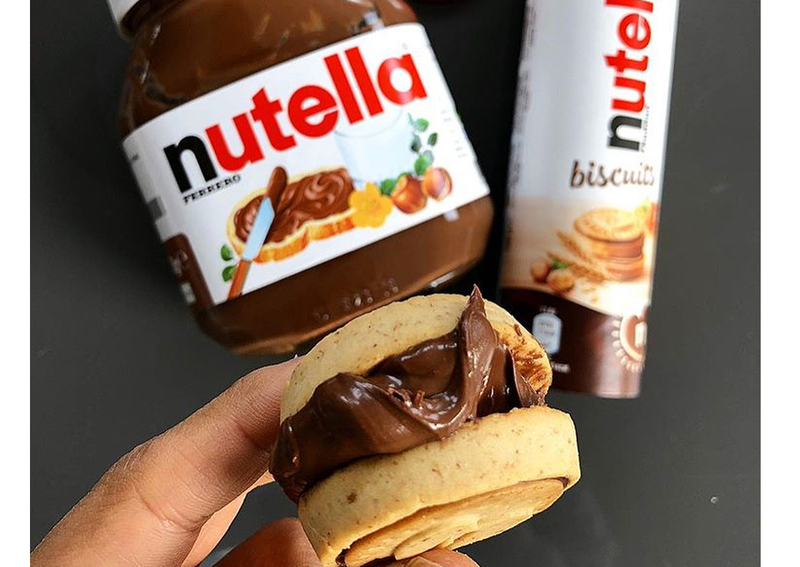 Inspired by the iconic Mulino Bianco biscuit, it would like to distance itself from Nutella – in its intentions and ingredients, starting with the absence of palm oil. A bold step, if we consider that the sector’s turnover is still strongly manned by Nutella, who made the history of the category and after decades still holds more than two-thirds of the market share. Chocolate-and-nut based spreadable creams contain above all cocoa and hazelnut. Piedmont hazelnuts are among the most prized and tasty, and their use is considered a particular value in the production of spreads. The higher the percentage of the two ingredients, the lower the quantity of sugar added and consequently the contribution of carbohydrates. But at the same time the higher the content of hazelnuts and cocoa, the higher the price. Thus, from about 7-11 euros/kg of industrial spreads, the price of artisanal ones can vary between 30 and 60 euro. New confectionery players, already known and specialized in the production of pralines and bars, have expanded the range by entering the market and gaining market shares: among these are certainly Novi, Pernigotti, Lindt, and Luigi Zaini. And this despite a slight decline in the Italian spreadable cream market, which in 2018 decreased by 5.9% in volume and 1% in value (source: Nielsen). Super premium products and smaller sizes are growing, just as products with below-average price positioning. Italian sugar-free or even one-ingredient spreads are also enjoying great success. These are mainly artisan spreads that, in addition to the manufacturer’s points of sale, can be usually found within specialty food shops, wineries and, of course, online. All Italy’s producers, artisan or not, agree in recognizing Nutella as a forerunner for foreign markets, where Italian spreadable creams are synonymous with high quality, starting with the care of the ingredients. Domori, for example, will soon expand its range with new flavours dedicated to the Italian and foreign markets.